Our Church is used extensively for Weddings, Baptisms and Funerals and further details on these ceremonies of the Church can be found on the sub-pages within this section. 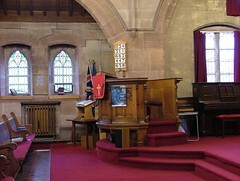 The Church premises, including the hall, are also available to be booked for other uses. Details of the person to contact for bookings can be found on the Home Page.